Pioneers in the industry, we offer rice extract from India. 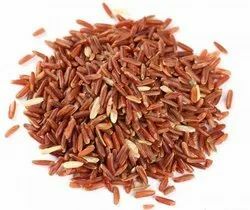 Rice Extract, red fermented rice, red kojic rice, red koji rice, anka, or ang-kak, is a bright reddish purple fermented rice, which acquires its colour from being cultivated with the mold Monascus purpureus. The dried grain can be prepared and eaten in the same manner as white rice—a common practice among Asians. Red yeast rice is used to colour a wide variety of food products, including pickled tofu, red rice vinegar, rice vinegar, char siu, Peking Duck and Chinese pastries thatrequire red food coloring. It is also traditionally used in the production of several types of Chinese win, Japanese sake (akaisake), and Korean rice win (hongju), imparting a reddish colour to these wins. Although used mainly for its colour in cuisine, red yeast rice imparts a subtle but pleasant taste to food and is commonly used in the cuisine of Fujian regions of China. It is taken internally to invigorate the body, aid in digestion, and revitalize the blood In the late 1970's researchers in the United States and Japan were isolating lovastati from Aspergillus and monacolins from Monascus, respectively, the latter being the same yeast used to make red yeast rice, but cultured under carefully controlled conditions. Lovastatn and other prescription statin drugs inhibit cholesterol synthesis by blocking action of the enzyme HMG -CoA reductase.